Polish Oil and Gas Company (PGNiG) announced on March 14, 2017 the signing of a side agreement to the existing Sale and Purchase Agreement (SPA) with Qatargas, the World’s Premier Liquefied Natural Gas Company.Under the terms of the agreement, Qatargas will increase the volume of liquefied natural gas (LNG) currently supplied to PGNiG to two million tonnes per annum (MTPA) which is equal to about 2,7 billion cubic meters of gas after regasification. The new agreement will come into effect on 1 January 2018 and will run until June 2034. Saad Sherida Al-Kaabi, Qatar Petroleum president and chief executive officer, and chairman of Qatargas Board of Directors, said: “We are very pleased that we have signed this agreement, which marks another milestone for us in Qatar as we continue to meet the requirements of our customers worldwide. I would like to take this opportunity to thank PGNiG for their trust in Qatargas”. 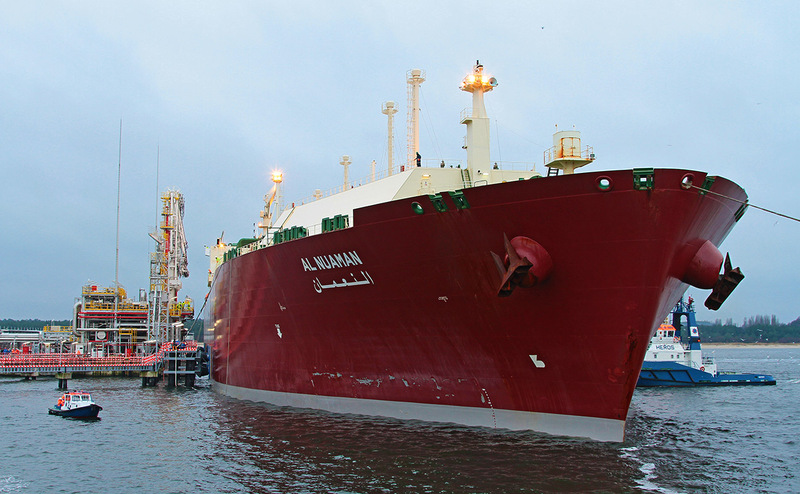 The LNG will be supplied from Qatar Liquefied Gas Company Limited (3) (“Qatargas 3”), a joint venture between Qatar Petroleum, ConocoPhillips, and Mitsui & Co. Ltd., and will be delivered onboard Q-Flex LNG vessels to the President Lech Kaczynski LNG Terminal in Swinoujscie, Poland.